It wasn’t so long ago that many a PC user was clamoring for a Dark mode on Windows 10. Now that they have it, things are swinging in the opposite direction: Microsoft is bringing a ‘Light Mode’ to Windows 10, helping bring balance to the Force. You might be thinking “isn’t that just Windows 10 with Dark mode off?” Well, not quite. While Windows defaults to light-colored menu and background elements, it’s not entirely consistent. 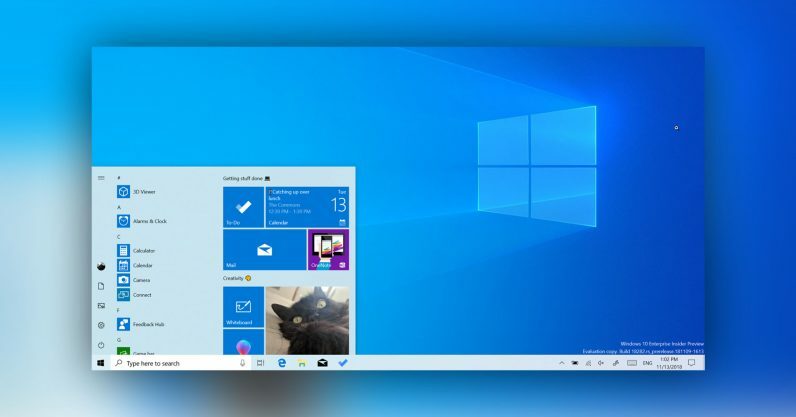 Most notably, the default Windows 10 look includes a frosted-black taskbar and Start menu. In future Windows releases – and starting with the beta Build 18282 for Windows Insiders – you’ll have access to a system-wide bright theme. Picking the ‘Light’ theme from Settings > Personalization > Colors will make the taskbar, Start menu, Action Center, touch keyboard, and more have a neat semi-transparent white. Better yet, you can mix and match. You can make the System UI light, but still have compatible apps run in dark mode – or vice versa. There’s even a ‘light’ version of the default Windows wallpaper. Gotta say, I’m more of a dark mode guy myself, but I dig the new look. For more on what’s rolling out to Build 18282, head on over to the Microsoft blog at the source link below.